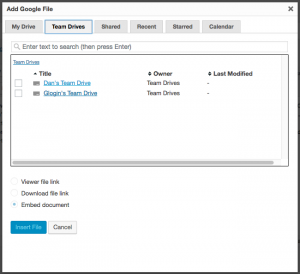 Find out more about Team Drives from Google. 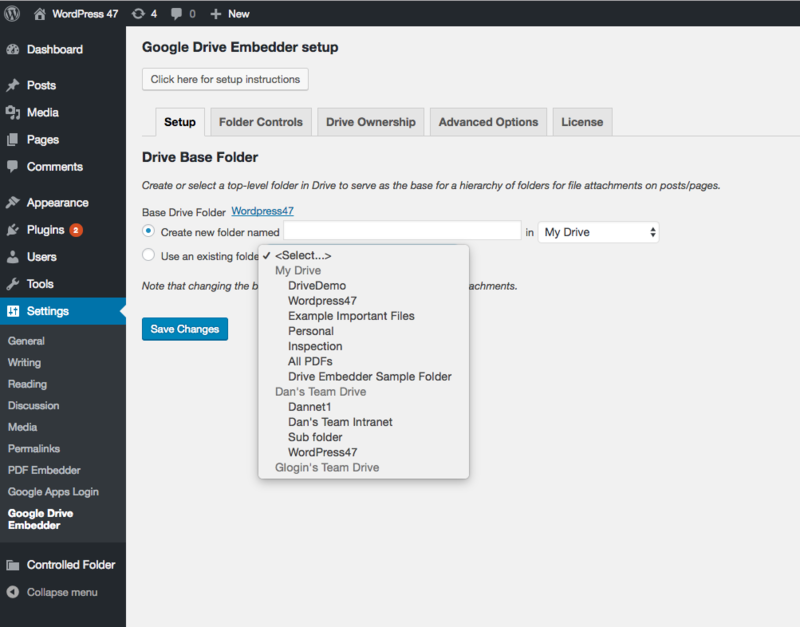 The latest version of Google Drive Embedder Enterprise (version 4.0) includes complete support for Team Drives. You can embed files from your Team Drives, and you can even house your ‘base folder’ hierarchy for your intranet on a Team Drive. 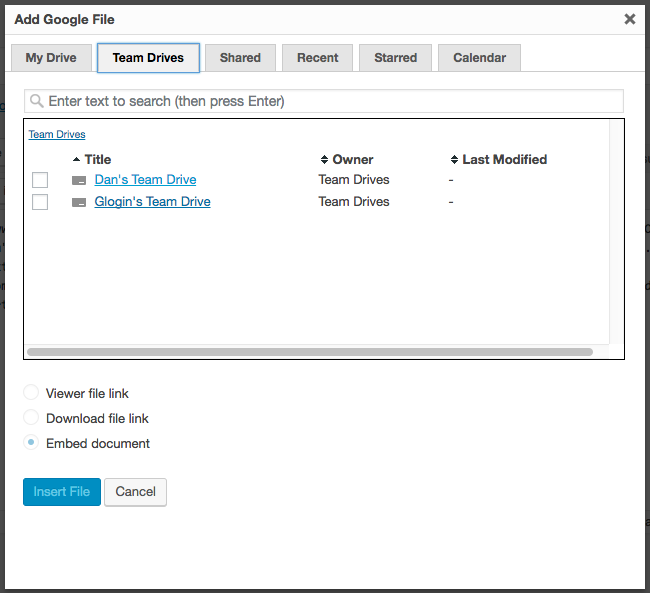 The ‘Add Google File’ dialog box now contains a Team Drives tab where you can browse your Team Drives to locate files or folders to embed. Additionally, you can search, or view the Recent and other tabs, and any relevant files/folders from a Team Drive will show up in the results. If you wish to use Attachment Folders in your site – these are automatically generated folders in a Drive folder hierarchy designed to mirror your WordPress site structure – then you can now select a Team Drive’s folder as your site’s ‘base folder’. You may first want to learn more about Attachment Folders. When you configure the plugin, you can now select from a list of all top-level folders including those on Team Drives (or My Drive as before). Alternatively, you can choose to create a new folder on My Drive or on a Team Drive. If you would like to migrate your existing base folder from someone’s My Drive to a Team Drive, this may be possible. Please get in touch if you’d like to discuss the options. Not sure whether you need Team Drives? Google lists four reasons for making use of them!